Today has not been a good day, which is why my post is later than usual. And I don't really feel like reviewing any particular book that I've read lately. In fact, I haven't felt like doing much all day. I'm grieving the loss of someone I cared about. And I don't know how to handle that grief. So, I turned to the same medicine that has worked for me for most of my life: I opened a book and read. I wasn't looking for answers, I wasn't looking for a cure. I was looking for an old friend to sit with me, hold my hand, and not require me to talk. I needed a balm to soothe my aching soul and quiet my mind from the sadness and rage I feel from this loss to the world. And I found the familiar solace I needed within the pages of a book. This will be a brief post, as it's Mother's Day here in the United States, and it's a beautiful day outside! I am anxious to start my day by enjoying my lovely patio and getting a little reading done. I have two books for you this week. One is a debut novel by a new author and the other is another book by an author who feels like...family. 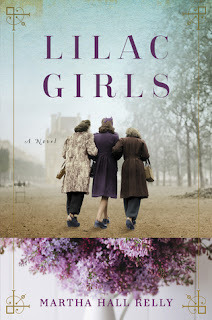 Lilac Girls, by Martha Hall Kelly, is a great book to read if you're a fan of historical fiction set in World War II. Kelly stayed as close to the real, actual events as possible, using her research to guide her story. The novel is special because it is told from three people's very different perspectives. Caroline is a New York socialite who works at the French consulate, Kasia is a Polish teenager taken captive by the Nazis, and Herta is a German doctor determined to make her mark in the male-dominated Nazi regime. This book was chosen by the new book club I joined. When we met to discuss it this past week, the consensus was the same: we all enjoyed the book and none of us had ever read a novel that gave a voice to a German doctor from World War II. We agreed that all three narrators were good ones and gave us a lot to consider we had not thought of before. One of the ladies in my book club is Polish, and she said she learned things she did not know before about the Polish people in World War II. It was an interesting and absorbing novel. I read it in three days. 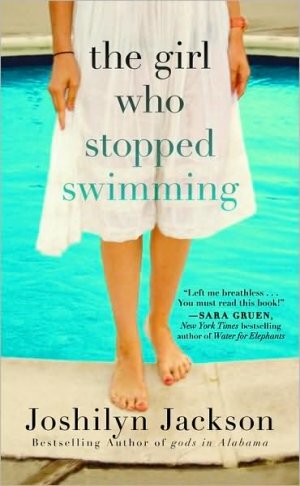 My love for Joshilyn Jackson continues, as I just finished The Girl Who Stopped Swimming. She is, as I have described before, amazingly talented at pinpointing how some older Southern women act, talk, think, and...have a tendency to not want the world to see their reality (and, too often, they don't even see it themselves). For them, it's all about what it looks like on the outside and not what it truly is on the inside. This novel surrounds a tragedy, how people react to it, and the truths hidden behind the facade of a nice neighborhood. 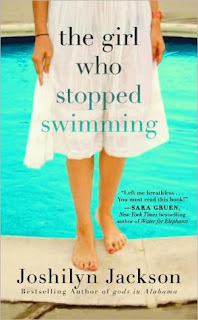 Because of the tragedy, the main character, Laurel, is forced to analyze her own life a little closer. She struggles with something terrible in her own past, as she tries to deal with something terrible in her present. The action builds as Laurel tries to find answers to both before she loses her mind. She is haunted in many ways and must find her own way through a reality that others deny. I have to say, I was surprised to find some people didn't like it on Goodreads. I looked at reviews after I posted mine. I found myself wondering if they read the same book I did. I guess we all connect to books in different ways, and I definitely connected with this one. Maybe you have to acknowledge the superficial level many people live on to appreciate a story that reveals the possibilities of what may be underneath it all and seeks to answer why they choose to live that way. I think Jackson did an excellent job at that. She always does. Like I've said before, I'm pretty sure we must be related somehow. That's all for this week! I hope you all enjoy your Sunday! I am happy to say that Queenie was a perfect choice to help me out of my literary limbo! I just finished the book yesterday, and I'm still marinating in it...with a smile on my face. I usually begin my Sunday mornings by reading in bed with my first cup of coffee, but I didn't this morning. This morning, I begin with introducing Queenie to you. 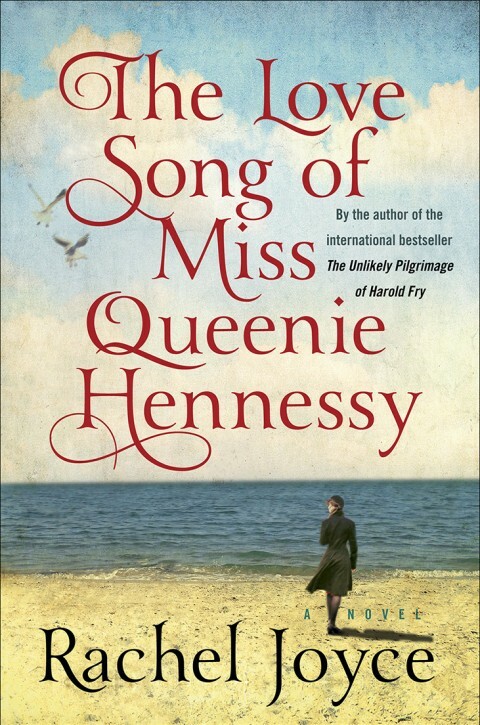 The Love Song of Miss Queenie Hennessy, by Rachel Joyce, is interesting and tender and filled with the intimate thoughts of a person who wants to say all that is in her heart, and on her mind, before she dies. 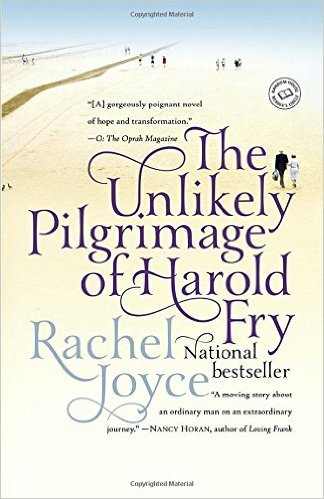 I'm not giving anything away by say she's dying, as that is how we meet her at the beginning of Joyce's The Unlikely Pilgrimage of Harold Fry (which you really must read before reading this one). In the first book, Queenie sends Harold a letter telling him she was dying, and she has sent the letter to say goodbye. Harold, unexpectedly, decides to walk to see her. His book is about his own journey, but it is not told in first person. In this second book, Queenie is our narrator, and she definitely has a story to tell. The story begins with Queenie at the end of her life in a hospice-type care facility. She looks over her life in flashbacks and shares with the reader her joys and her sorrows, her regrets and her triumphs. However, it isn't the reader she's sharing it with, really. It's Harold, Harold Fry. As the reader, we witness the letter - or the love song - she writes to share her last thoughts with Harold. Queenie's story runs parallel to Harold's. She passes the time, waiting him to show up, by writing him a letter describing not only her present, but her past. She tells him what her life was like as a child, how she felt going off to Oxford, about previous relationships, and about how she came to work at the same place as Harold. She reminds him of the first time they met, and she tells him secrets about her past he never knew. The letter builds up to the moment she left town without telling him, twenty years ago, and her confession of why she left. "It had flaws, but what does that matter when it comes to matters of the heart? We love what we love. Reason does not enter into it. In many ways, unwise love is the truest love. Anyone can love a thing because. That's as easy as putting a penny in your pocket. But to love something despite. To know the flaws and love them too. That is rare and pure and perfect." And, just in case you're wondering, I do believe you can love someone who doesn't love you back in the same way. I believe you can carry someone in your heart all your life who is no longer a part of your life. I believe true love is when you love someone without expecting anything in return. You love them because of who they are, not what they do for you. If you don't believe me, ask people who truly love their spouses and lost them to death. They do not stop loving their spouse because they are no longer with them, sharing a life with them. A person's body expires, but real love does not. For me, Queenie's letter is a love letter to us all. It serves to remind us that life can be difficult and awkward and harsh, but there is beauty in the struggle. She also reminds us to enjoy all the beauty around us, from the sparkling sounds of laughter from our friends to the miracle of watching the trees sprout buds in spring. One more thing, the author said when she wrote Harold's story, she did not intend to write another with these characters. However, she said many people wanted to know Queenie's story. Joyce said she was halfway through writing another novel when Queenie decided to be heard. My heart is glad that Queenie convinced Joyce to tell her side of things. It is as it should be. There are, after all, two sides to every story. But, in this case, there could actually be three. I wonder what Maureen, Harold's wife, would have to say if we asked her? It happens from time to time. You know, that place you find yourself where the books you've read are somewhere between heaven and hell. Nothing is quite satisfactory. You haven't found a book you want to rave about, but you can't really complain about what you've read because you're aware the books are 'different' and, perhaps, not liked by the general masses (which isn't usually a bad thing), but they were decent books. I've said before, and I will say again, I seldom read a book that I don't like in some way. I'm not a book snob, and I am a pretty open-minded person. Still, I haven't found anything I'm quite happy with lately. I was looking for something a bit 'happier' after reading about murder and abduction previously (see my last post). I just haven't found anything to fit the bill yet. 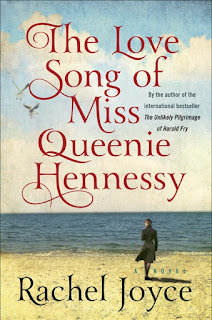 I am currently reading (as in, I just started it last night) The Love Song of Miss Queenie Hennessy, by Rachel Joyce. 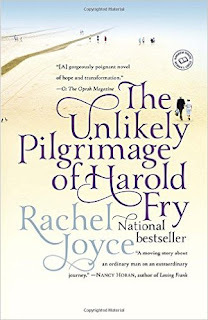 It claims to be about joy and many reviews say it's even better than Joyce's first one, which introduces us to Miss Hennessy, The Unlikely Pilgrimage of Harold Fry. I liked Mr. Fry very much,...and I still think of him quite fondly. I'm hoping this book will be the one to push me out of my current state of literary limbo. I hope I will discover an equal fondness in my heart for Queenie that I feel for Harold. I'll let you know how it goes.